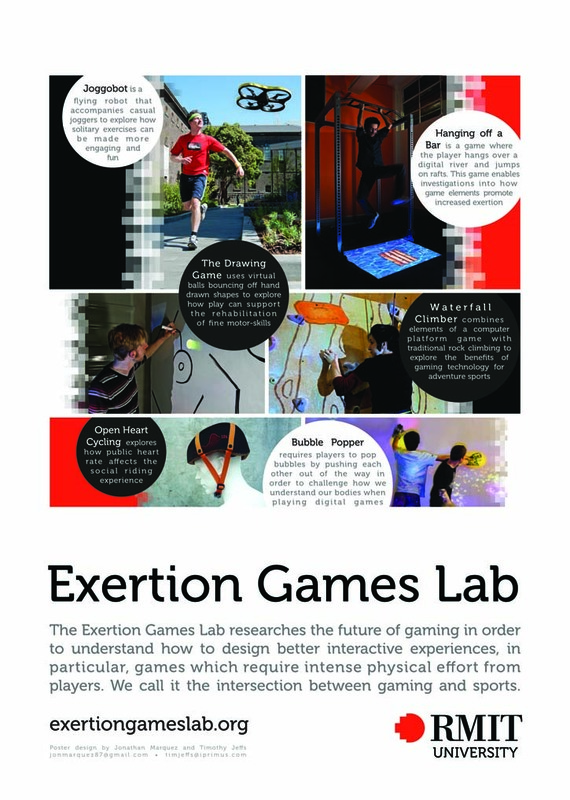 The Exertion Games Lab has a new poster! Thanks to Jonathan Marques and Tim Jeffs, who did a wonderful job. Josh, Chad and Harry already used it to display the many projects at the last conference they exhibited at.